Noah Deich of Everything and the Carbon Sink recently interviewed Tony Marrero of Wakefield Biochar about the business of biochar as it is developing in retail markets. Find the original post at https://carbonremoval.wordpress.com/. Noah: Media attention on the biochar industry has increased recently, but a lot of this attention has focused on larger-scale industrial producers that are pursuing B2B sales strategies for their biochar products. Your company, however, has chosen to pursue a different business strategy of selling small quantities of biochar directly to end consumers. Would you explain why chose to pursue this strategy? Tony: The basic reason to target the individual consumer is that they will love the effect of biochar in their gardens, lawns and flower pots. There is a demand. Some of them don’t know it yet but that’s why WakefieldBiochar.com was launched. We believe in our “Better Soil. Better Gardens. Better World.” positioning statement. There is a hefty task ahead of us (the biochar community) to educate all of the potential users of biochar on why it is so important for us. It isn’t just for a better crop and to improve our soil. It’s an amazing opportunity to help protect our environment through carbon sequestration. Noah: Can you explain a little more about what you mean by the statement “There is a demand. Some [customers just] don’t know it yet”? I’m curious to get your thoughts on why there is such low general awareness about biochar. Tony: Absolutely. My feeling is that biochar has slipped out of the public view with introduction of chemical fertilizers that work quickly and can be distributed more easily by manufacturers. It has been a short-sighted gain with long-term repercussions to our environment. When you walk into a Home Depot and pick from an aisle of soil conditioners that are offered you are going to pick from what is available. I believe the public wants an organic solution like biochar and if they are informed about it they will prefer to purchase it over chemical-based alternatives. 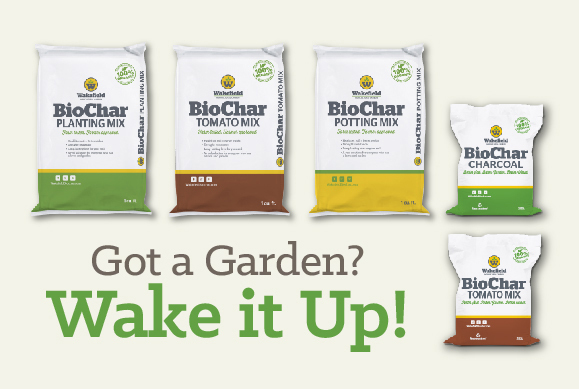 Wakefield Biochar is ready to help inform the public and create the demand for biochar at the consumer level. Hopefully, the retailers will want to be ready to supply the demand. Noah: The demand for organic everything certainly seems to be growing, but biochar isn’t a perfect substitute for chemical fertilizers. Different chars and/or application methodologies are frequently required to get maximal benefits from biochar, making the learning curve for this product potentially steeper than with chemical fertilizers. How do you think biochar producers can help overcome this barrier going forward? Tony: I agree that ‘organic’ has become an important part of our society. I think the biochar industry has to remember to discuss biochar as part of an organic solution. It is not a fertilizer on its own and biochar producers are obligated to educate users on how to use biochar to be successful. Respectfully, we may not always maximize its potential to perfection. Maybe being close to ‘maximizing its benefit’ is good enough. Let’s let the professors and scientists continue their research to find the best possible application of biochar. In the meantime, if the public uses it with an understanding of how it works with the soil, compost, water and seeds then everyone can see improvements in their plants and soil. Additionally, we will inspire more and more people to use fewer chemical fertilizers and to sequester more carbon into the soil. 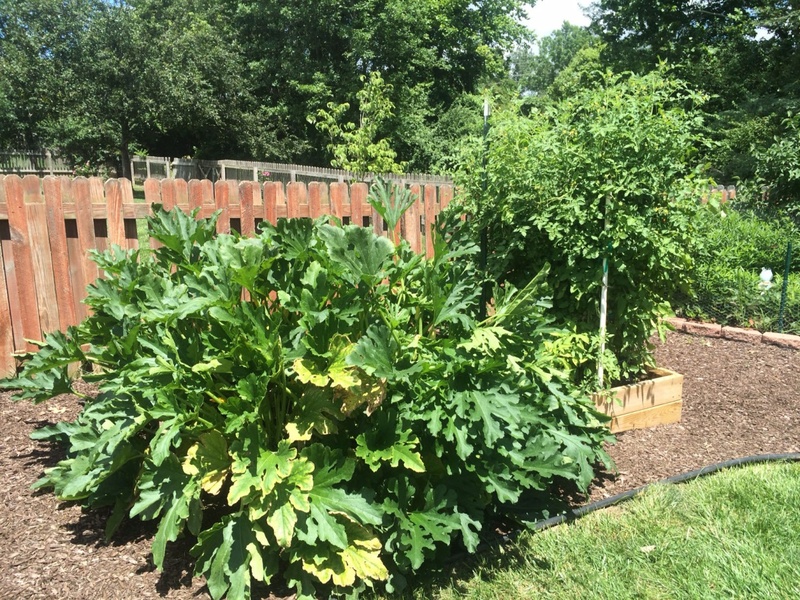 Above: home gardeners could utilize biochar to maintain production while decrease their use of chemical fertilizers. Noah: Speaking of professors and scientists continuing their biochar research, what areas of research would be of greatest value to you and your business? i.e. what types of applied research on biochar systems would be most valuable? Tony: From a business perspective I’m interested in reducing the cost of manufacturing biochar. With a lower cost we could potentially attract more users. When I consider how biochar is used I want to know more about how the source material of the biochar and the soil type interact with each other. When we take time to describe how biochar should be applied we want to give the best possible advice. Additional research also needs to go into the benefits of biochar on a larger scale — specifically with farms. I’d like to see farmers become more accepting of biochar. It is exciting to think about how biochar can improve crop production, reduce the use of chemicals and create a carbon negative system at such a large scale. It isn’t easy to ask a farmer to change their processes when there is so much risk. The farmer needs to have complete confidence in the product. I know continued research and field testing can build that confidence. Noah: So essentially using a B2C sales strategy to open up larger B2B markets in the future when the market conditions mature. This is really fascinating — thanks Tony. Any last thoughts for our readers? Tony: I’ve really enjoyed the conversation. Thanks for making this happen. I do believe there is a significant opportunity in the retail market and it’s a lot of fun to share the benefits of biochar with the public. It’s the real deal — a sustainable, organic option to chemical fertilizers and it actually reduces our carbon footprint. Better Soil. Better Gardens. Better World. It’s our slogan and we stand behind it 100%.